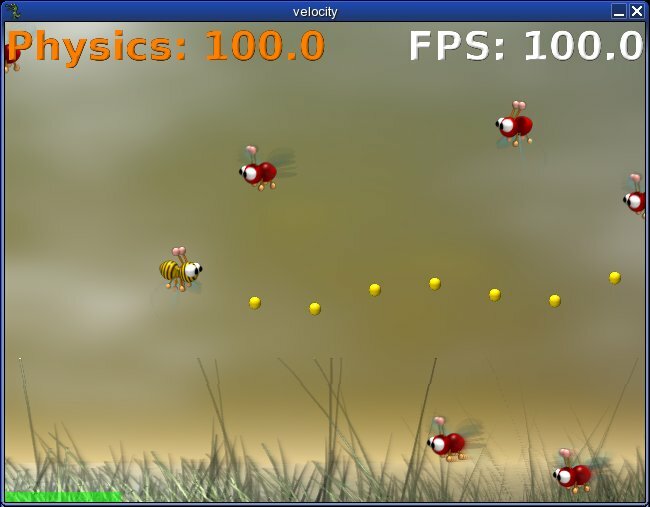 This was my SHMUP 2006 entry. 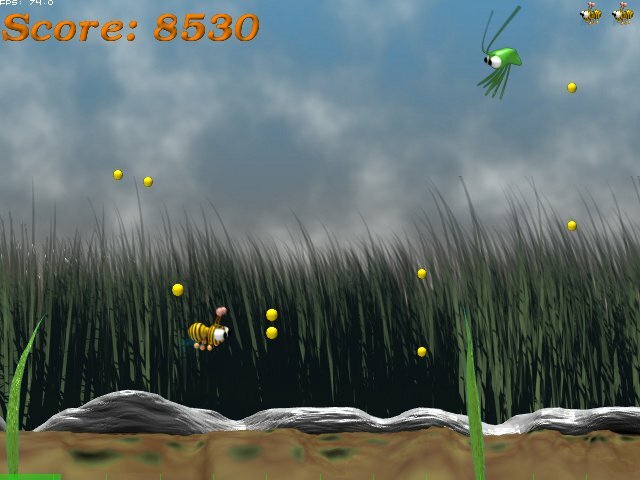 It's a standard shoot em up game. 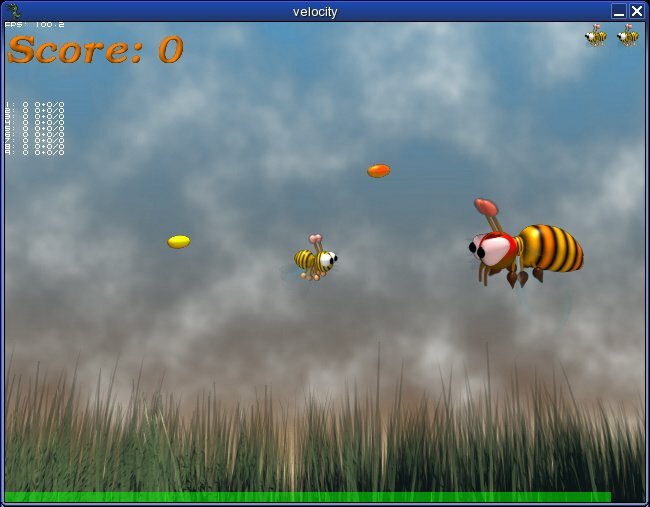 You play Velocity the Bee, on a mission to find a new home for her Queen and her people. 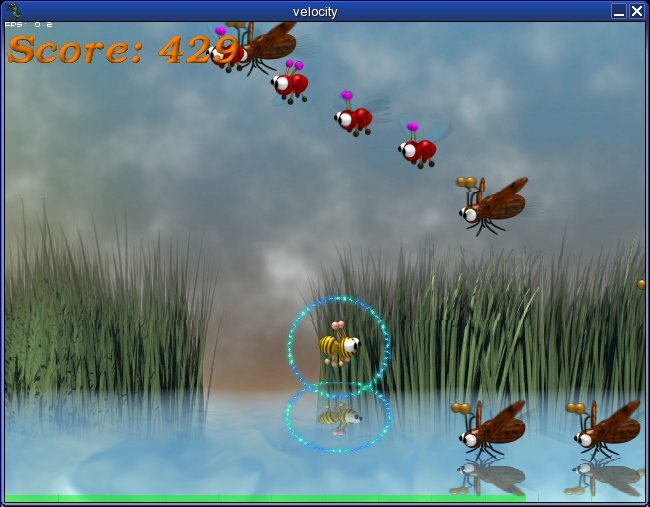 To do so, you have to shoot tons of enemies :) There are 4 levels, each with a boss enemy. 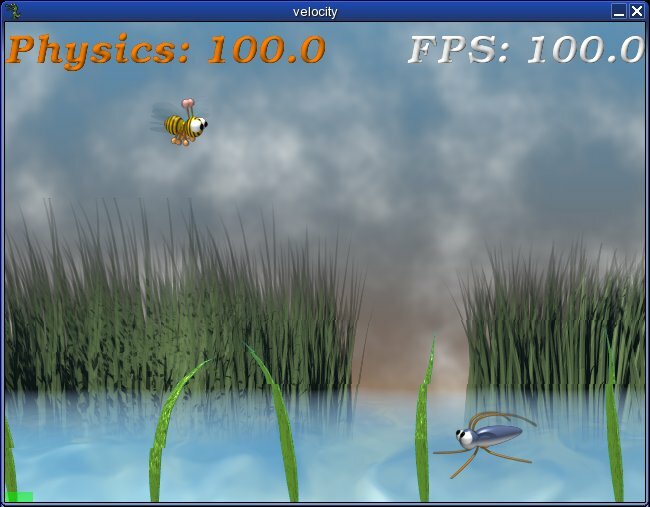 So far, only the first level, which was entered to the compo, is done. I used Land as engine for layered tilemaps and sprites with pixel perfect collision, and all animations are rendered from Blender models. Configurable controls, four direction keys, one fire key. Every 25000 points you get an extra life. Each time you take out a group of enemies, you get a power up. Every 3rd power up will upgrade your shot or shield. In easy mode, you get an extra life every 10000 points, you don't lose all your power ups on game over, and all enemies including boss have only 50% strength.